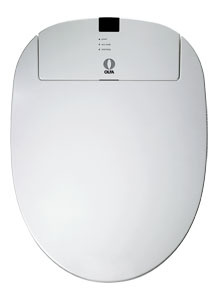 The toilet seat shower, commonly called Japanese toilet seat, is a revolution for intimate hygiene. - A seat assisted descent. - A 2 year warranty. 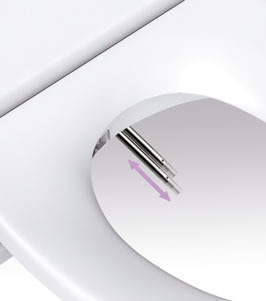 The toilet seat washing ASEO+ allows personal hygiene at all times of the day, it is easy to use thanks to its infrared remote controle, the seat is heated for comfort, temperature and water pressure are adjustable. Temperature of the seat and the water temperature are adjustable. It is easily removable for perfect cleaning. 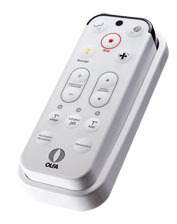 The remote control is supplied with a magnetic holder. The nozzles are stainless steel for sustainable hygiene. The nozzles are cleaned by a sterilized water to silver oxide. It's no longer necessary to use paper. In the absence of paper, a flush 3 liters of water is enough. By preserving water and paper, you preserve the basic resources of our planet. OLFA guarantees your seat Aseo+ 2 years. The seat ASEO+ more fits the vast majority of bowls. 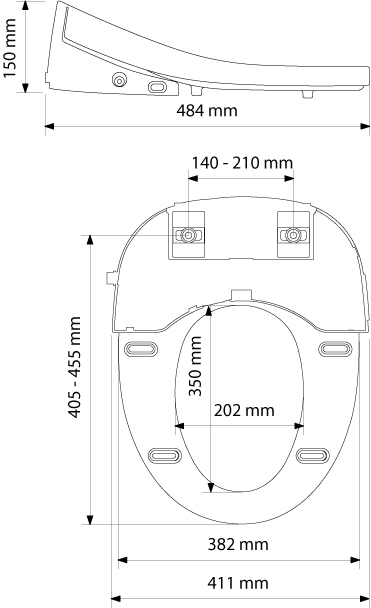 For more information on this seat, please contact us or download the datasheet. Shower toilet seat is the best for comfort. 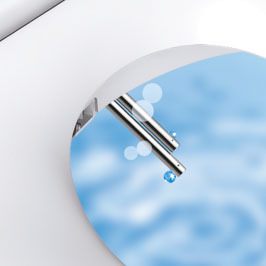 It provides hygiene and reduces water and paper consumption.